Seth Nation is a husband and father of four. 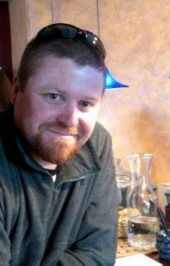 Originally from Southern California, he moved to the Midwest in 1996 and currently resides in Lawrence, Kansas. He has worked in the printing industry for 16 years in a variety of management roles. Always an avid reader, writing poetry and lyrics had always just been a hobby, having taken a greater importance to him in the last five years. The Road We’ve Traveled is his first published work, and he is currently working on another chapbook as well as a novel. Besides spending time with family and friends, he loves golf, traveling with his wife Lori, and watching his kids play sports and all of their activities. 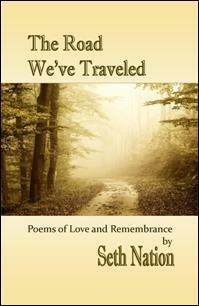 In The Road We’ve Traveled, writer Seth Nation will take you on a personal journey of the human condition, twenty-six individual pieces, evoking the passion of love, the grief of death, and the sweet beauty that resides with remembrance in our dreams. The Road We’ve Traveled sweeps through the uncharted territory of the human soul with works of poetry filled with hope and inspiration. The road begins with the feelings one feels when falling in love, the depths at which one’s soul aches for another, of a love known pure and ever strong with boundaries that know no end, ultimately traveling to the time when one must say that final goodbye and relief can only come in dreams. It is a collection that as a whole makes us realize how truly special life can be and collectively what makes us who we are. Listen softly, I beg, can you hear it? Please, my dear love, please, by no means should you fear it. It plays deep in your mind. Playing my song, timeless, for you and me. Holding you oh so dear. From the endless pain and anguish I see you bleed. As they carried me aloft upon their gilded wings. Reincarnated to help you through the years. To walk life’s path alone. When you remember the love we shared. Giving you faith in times of need. Guiding you, when life’s compass leaves you stranded. Reincarnated to what you ever need. I will always love you, my love.